About Kellsson Linens - wholesale distributor of bathroom accessories and bedding - comforter and sheet sets, mattress pads and more. Kellsson Linens: Wholesale distributor of quality bedding and bathroom accessories. 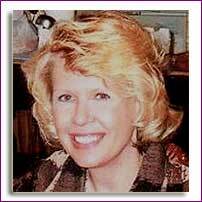 I'm Susan Kelley, Founder and owner of Kellsson Linens, Inc. I have been in the business of Wholesale Linens for 25+ years, and believe the customer deserves to receive quality merchandise in a reasonable amount of time, and therefore, I have opened my own business, to do just that. I am working with suppliers, who can deliver quality goods on a timely basis, whether to my warehouse in Denver, Colorado, or direct to Independent Retailers. Our goal is to ship goods to our customers within 48 hours from our warehouse, and be out of stock no more than 3 weeks on any item. Look over our Website, see the products we offer and the manufacturers we buy from. Let me know what you think of our Website, and if there are any products you are looking for that are not listed. Become recognized as a wholesale distributor with a passion for quality linens and accessories in the United States. We will guarantee 100% customer satisfaction as we value friendly service. Our purpose is to provide customers with the utmost service, and get quality products into their hands in the shortest time possible.